Remember when I said I had made a few purchases for the new house already? Well here are a few of them, the new console the mirror, and the lamps. It’s not that I thought my dining room looked bad, it’s just that the armoire I had in here is not the right size for our new dining room. The armoire will be moved to the new breakfast room. The new dining room will be bigger than our current one, and I felt that visually I needed a piece better sized for a long wall than this narrow armoire. I LOVE the armoire, so no, Peggy, I’m NOT getting rid of it! (Yes, I know you think it would look better in your house.) I will enjoy seeing it in the new breakfast room, but back to the dining room. The new console is 87 inches long, so it will fill up the new dining room wall nicely. The lamps came from One Kings Lane. The link is in my sidebar if you want to check them out. These are wood lamps (not resin) with fabric shades that I got for less than $100 each. Locally, when I see wood lamps, they are typically $250 and up. I am so excited about the console. It’s from Restoration Hardware. And now you might be thinking I’ve lost my head paying that much for a piece of furniture, but actually it was 50% off, and then they had a clearance sale, so it was another 10% off that. It really was quite a bargain in the end. I do have to apologize if you want one though, since I got the last one. It’s about 2 ft deep, so it will be the perfect size to serve as a buffet when we have company. 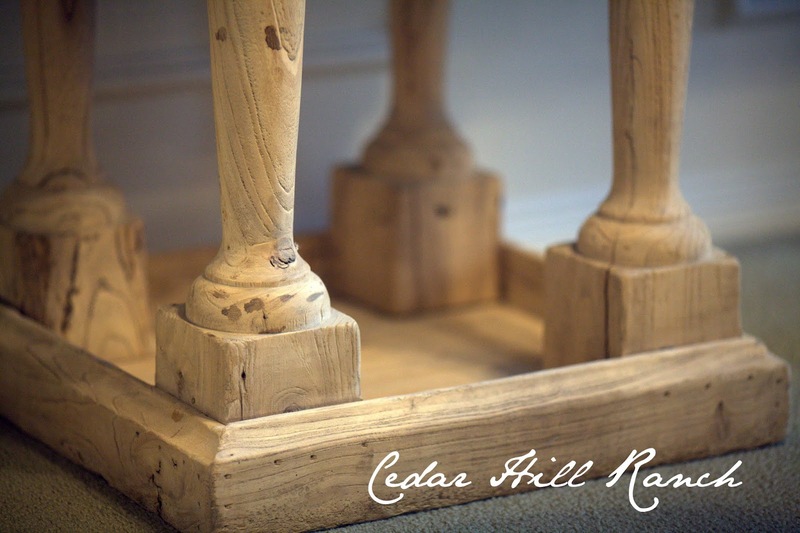 It’s made from reclaimed elm. And now onto the mirror that I found at Round Top for $100. I blogged about the trip this Fall here. I just think this French mirror is gorgeous!! So how did I get it for $100? Here’s what it looked like when I found it. 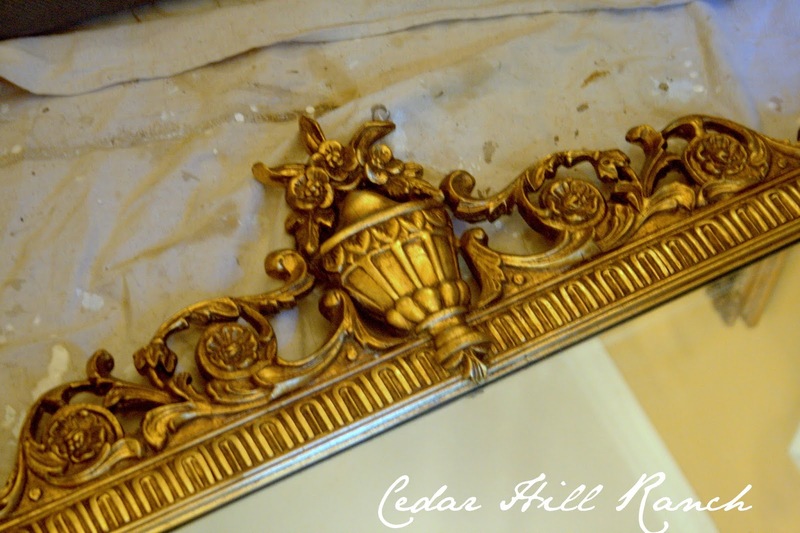 The gold paint looked very brassy, but I knew it would be perfect painted with homemade chalky paint. My homemade chalky paint recipe can be found here. I moved some things in here from another room. 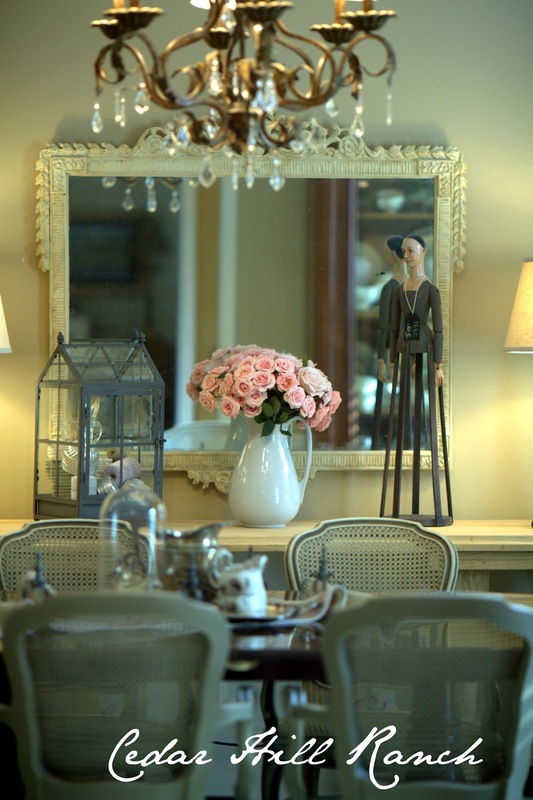 Although I did buy a few new things for the new dining room, many of the rooms in the new house will benefit not from purchases but from editing, or removing things. There are several pieces of furniture that won’t be going to the new house. Gorgeous, gorgeous, gorgeous, Anita. All great buys. They look fantastic, and I like the accessories you have added too. BEAUTIFUL Anita!! Love the console, love the lamps, and love that mirror!! Love it all! 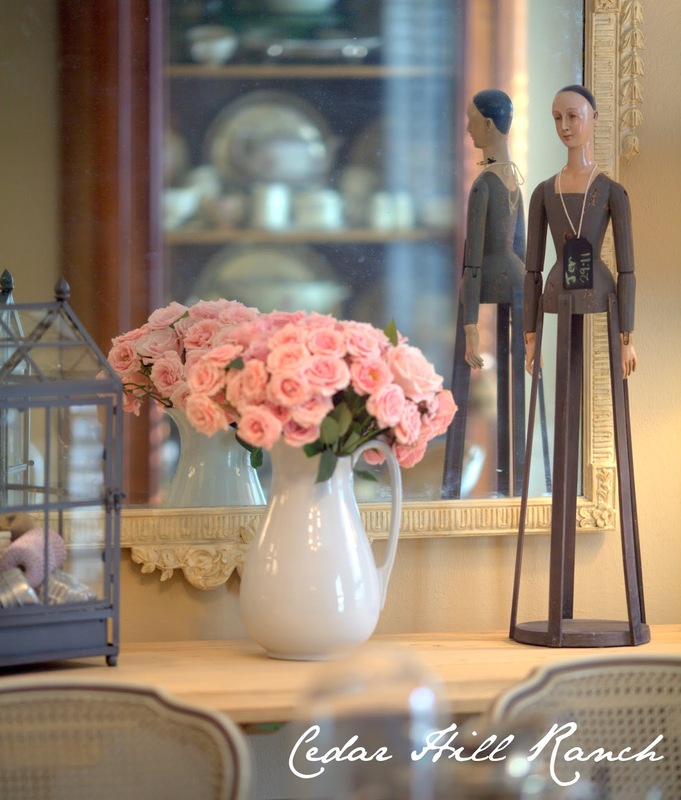 Hi Anita….I love your blog, and especially your mirror! I have a brassy looking gold mirror, and I have been trying to figure out what to do with it. I don’t want to go with the white paint as you did (even though I love it!) it just wouldn’t look right with my decor. I wonder about staining it a darker more brown antique gold. Not so brassy. Any thoughts? How do you suggest I do this? Anita, it is all gorgeous. Love that console. Lucky you to get such a good deal. Love the mirror better now that it is painted, looks lovely with your console! Anita, it is going to be fun to tag along with you as you build and furnish your new home. The new console is lovely and will be so useful. 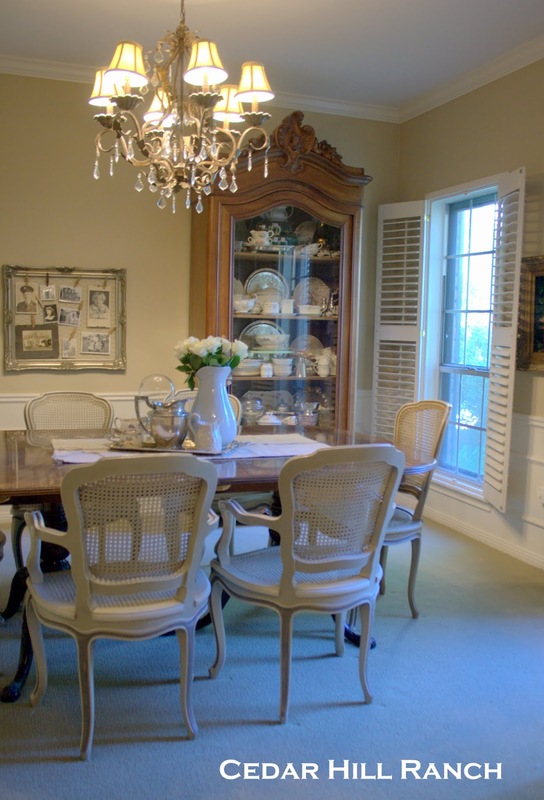 It’s great to have a long piece for serving in a dining room. What a gorgeous console!!! I love the wood on the legs! Your lamps are exquisite!!! 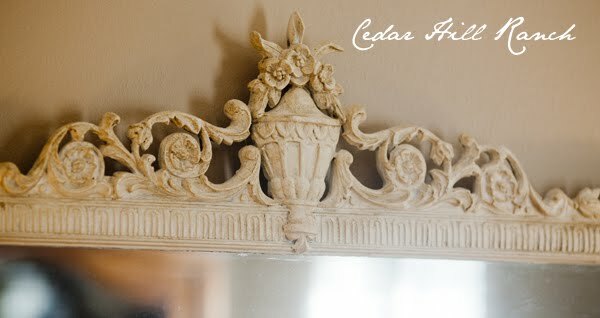 Your artistry shows in the transformation of this lovely mirror!!! I’m enjoying taking this journey with you as you edit and reclaim items for your new home! I am doubtful that the armoire would look better in my house, but I know it would make my house look better! Great finds! Great find on the console table as well! Peggy may want the armoire but I want the table! And the before mirror? Ew. Your mirror? Love it! You have been a busy girl, Anita! I love love love your choices!!! 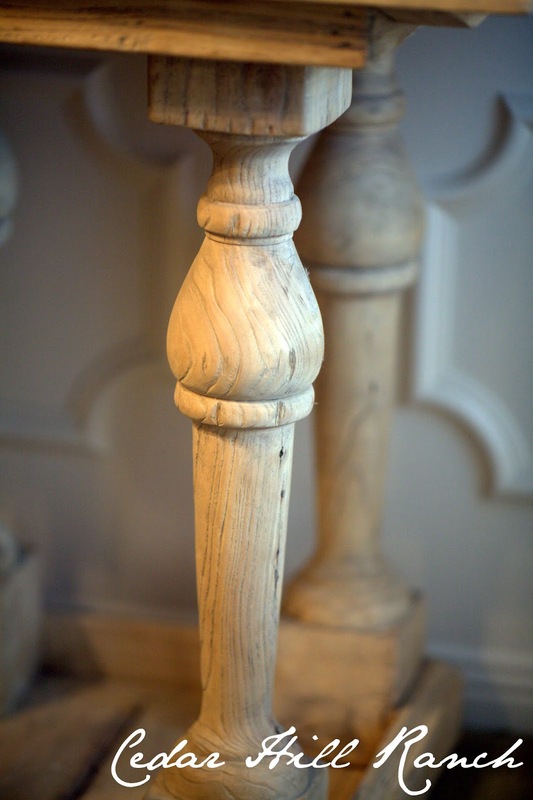 The legs on your console table makes me drool! And what you did to that mirror… brilliant! I hope you do a tutorial on your painting technique! I am so happy for you!! 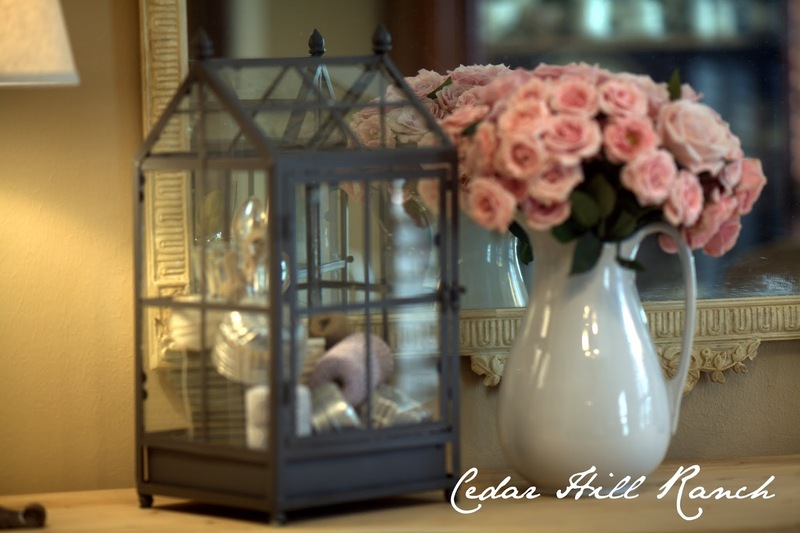 You will have some gorgeous pieces to take to your new home!!! What a beautiful dining room Anita. wonderful new pieces! Love the mirror, and the console looks wonderful! I happen to think that Restoration Hardware (for the most part) isn’t all that terribly priced. They constantly have sales, and I find their pieces good quality. Great that you got this one on clearance! Anita, it looks gorgeous!!! I love, love that beautiful mirror! Great changes! It is a beautiful room I find it romantic. I am in love with that mirror. Just stunning. Hi Anita! Your room is so beautiful! Love your style. Hope that helps. I did try this technique with limited success. It worked, but I didn’t like the look on my frame. i’m crazy bout RH and have an outlet not terribly far away. 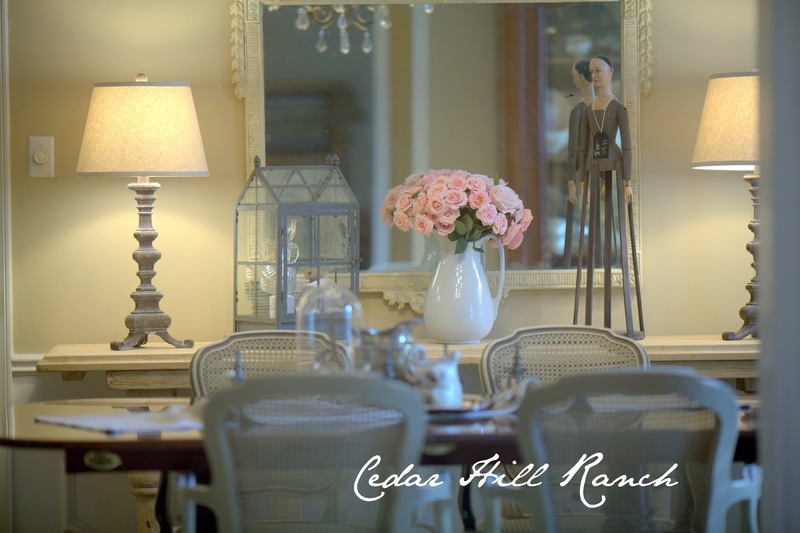 love what you have done to the dining room!